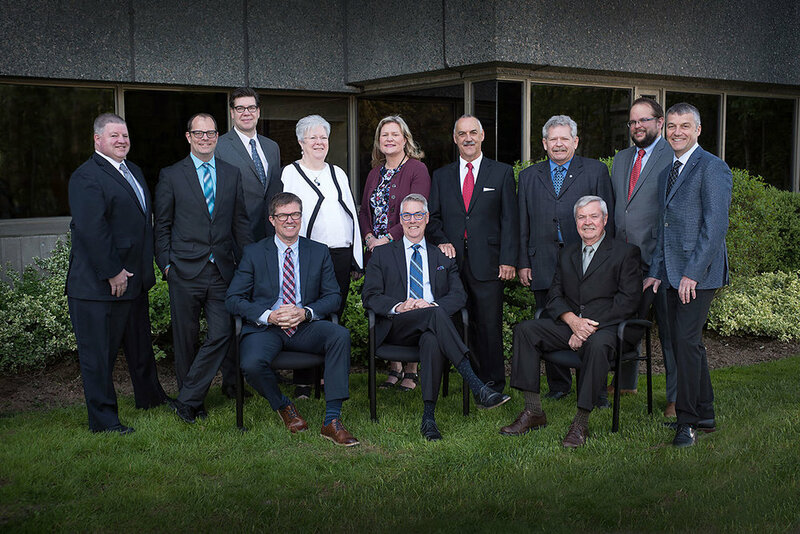 The WCB Nova Scotia Board of Directors is responsible for representing stakeholder viewpoints while considering the interests of the WCB and the system overall. The Board consists of four employer and four worker representatives, along with a Chair and Deputy Chair. L-R front row: Stuart MacLean, Chief Executive Officer; Rodney Burgar, Chair; Chris Power, Deputy Chair; L-R back row: Duncan Williams, Employer Representative; Brad Fraser, Executive Corporate Secretary; Steve Ashton, Employer Representative; Betty Jean Sutherland, Worker Representative; Janet Hazelton, Worker Representative; Jeff Brett, Worker Representative; Rick Clarke, Worker Representative; Angus Bonnyman, Employer Representative; Luc Erjavec, Employer Representative. In 2017, WCB Nova Scotia marked 100 years of operation. There has been incredible progress over that century. But for me and for the rest of our Board of Directors, it’s actually the next 100 years that truly inspire us. That’s because we are at the outset of a new reality in the administration of workers’ compensation in Nova Scotia. In Canada, most workers go to work every day with the assurance that should they be hurt on the job, someone will be there to help. Employers, in turn, benefit from a system based in collective liability, and wherein they are protected from lawsuit. This historic compromise is at the heart of our system. The Board of Directors believes deeply in the principles of workers’ compensation, whether we represent worker, or employer stakeholders. As we mark 100 years, we must recognize both vast progress, and vast opportunity. Perhaps more than ever, our governance, today, requires broad perspective. We must have the perspective to realize that while some industries, like fishing, are seeing incredible progress, other industries have much opportunity. We must support stronger safety conversations in long-term care and home care, and we were pleased to see this conversation move forward in 2017. Similarly, we need to appreciate that while updated technology is one part of the service picture, there is also much opportunity to ensure our people continually improve the service we provide overall. As an organization, we must always do all we can to improve prevention and return-to-work outcomes through better service. And, as we can see the elimination of the unfunded liability move closer and closer on the horizon, we must have the perspective to begin the important conversation about what “full funding” looks like. Workplace injury takes a much lower toll on the province than it once did. But, it still costs Nova Scotia too much – not only in dollars, but in human costs. We know that for our long-term progress to continue, we need to be different. The challenges we will face during the 100 years ahead are different from the challenges of the past. Our journey of change will improve the WCB, in every way. The Board of Directors is proud of the progress WCB Nova Scotia has made, together with our partners. We truly look forward to the vast potential in the years to come.